Things We Know – Things We Don’t Know Who was he? 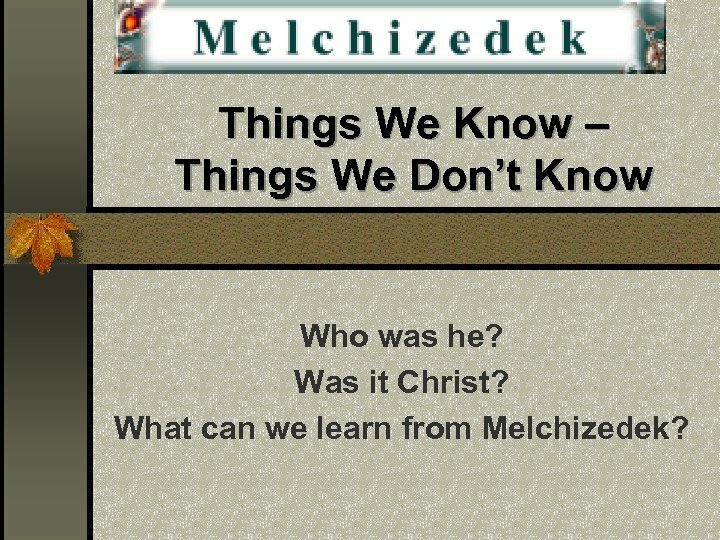 Was it Christ? 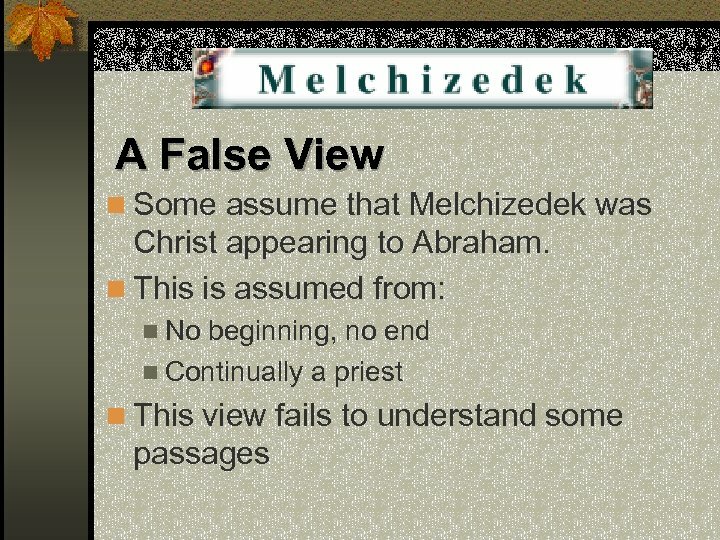 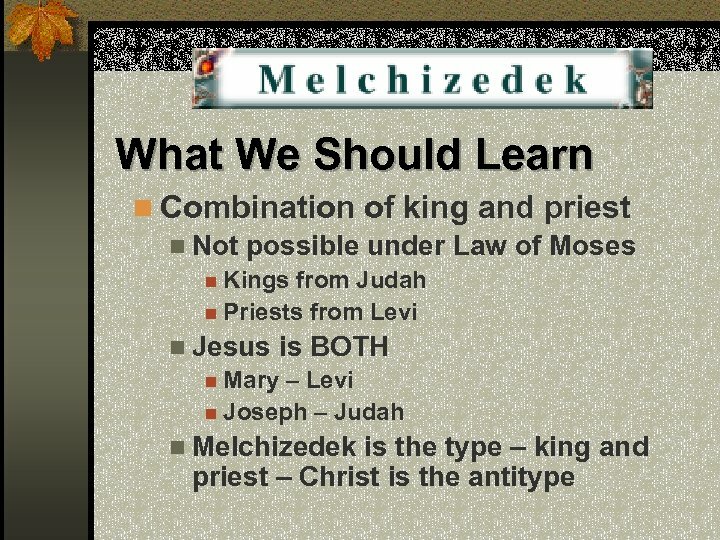 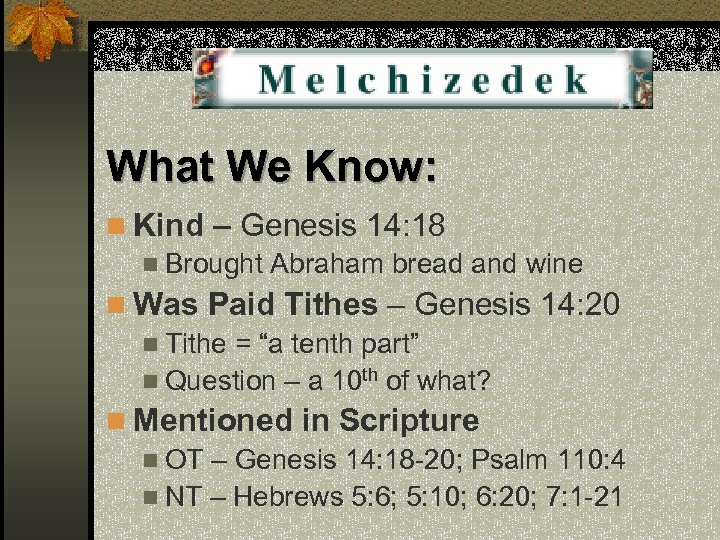 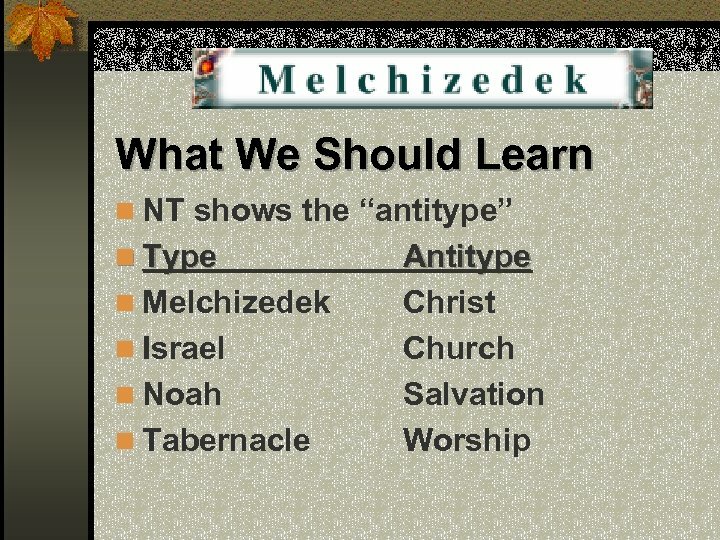 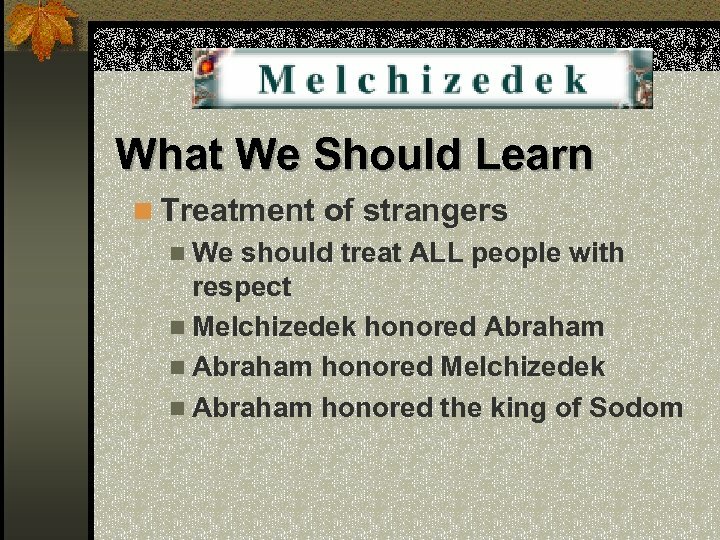 What can we learn from Melchizedek? 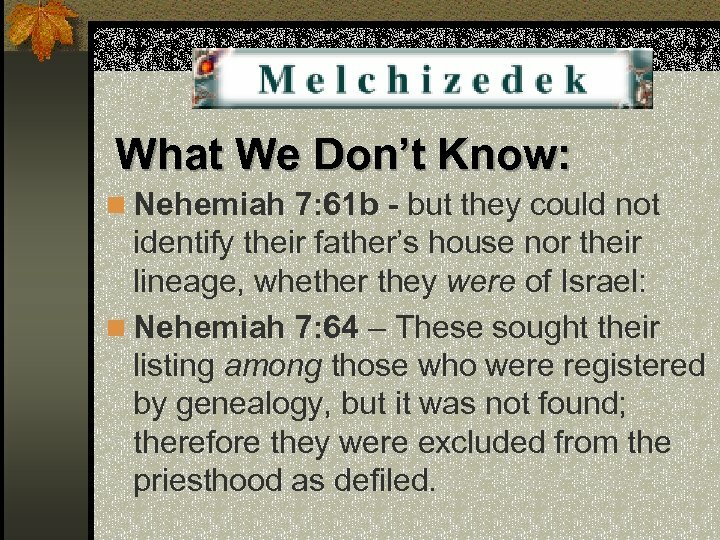 What We Don’t Know: n Nehemiah 7: 61 b - but they could not identify their father’s house nor their lineage, whether they were of Israel: n Nehemiah 7: 64 – These sought their listing among those who were registered by genealogy, but it was not found; therefore they were excluded from the priesthood as defiled. What We Don’t Know: n ISBE – The argument of Hebrews 7 is similar to the rabbinic argument from silence, which assumed tht nothing exists unless Scripture mentions it. 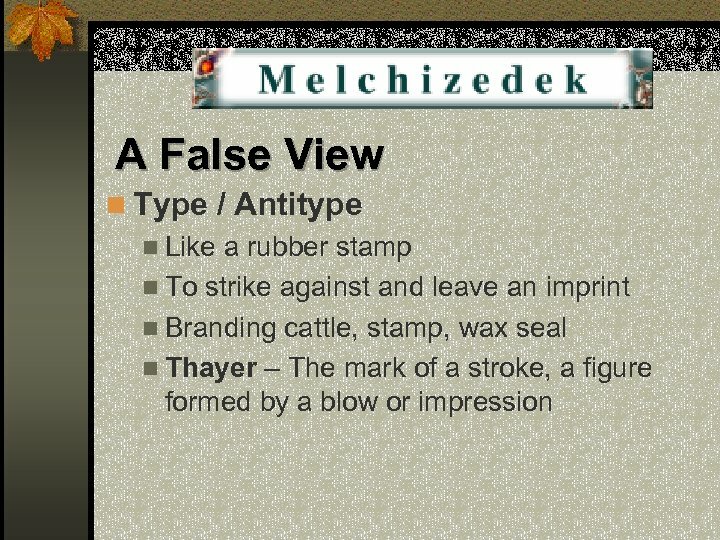 Since Genesis says nothing about Melchizedek’s parents, genealogy, birth, or death, he serves as a type representing the eternal Son of God. What We Don’t Know: n Halley’s Bible Handbook – What is the meaning of “without father, without mother, without genealogy, having neither beginning of days nor end of life”? 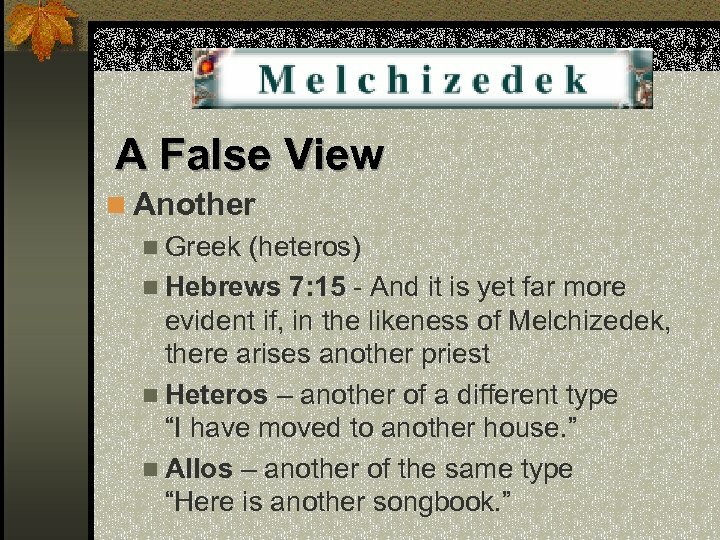 Not that it was actually so, but that it appeared so in the Old Testament records. What We Don’t Know: n Halley’s Bible Handbook – Levitical priests were priests because of their genealogy. 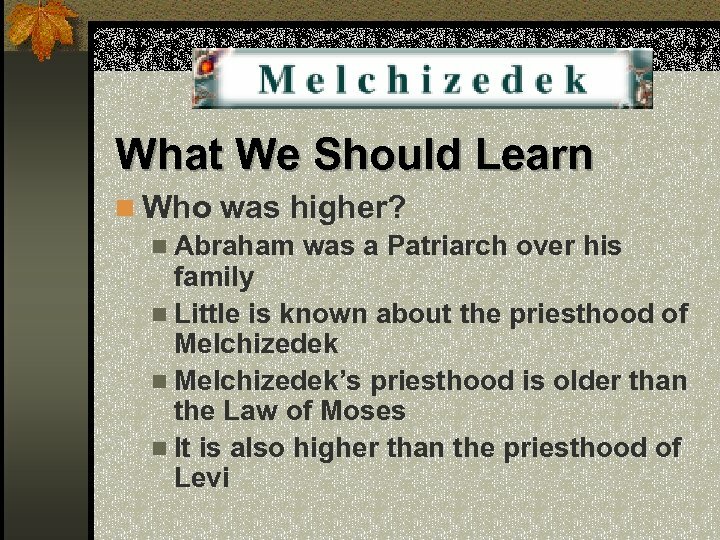 But Melchizedek, without genealogy, was the recognized priest of the human race at that time. n A mysterious, solitary picture and type, in the dim past, of the coming Eternal Priest – King. 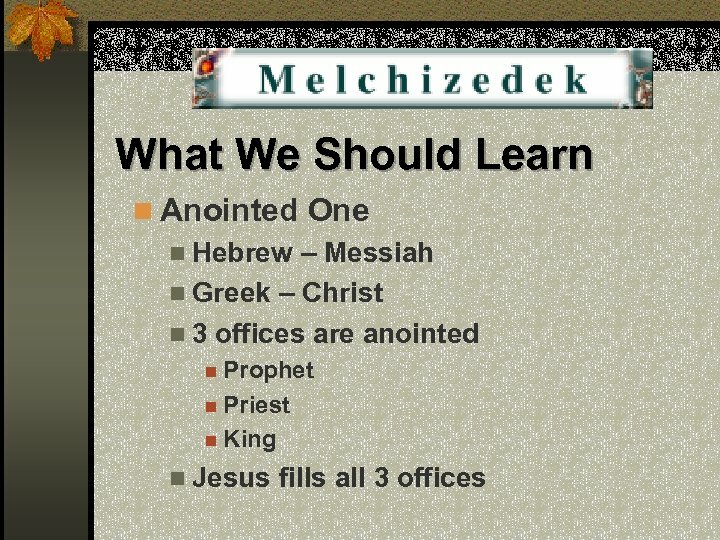 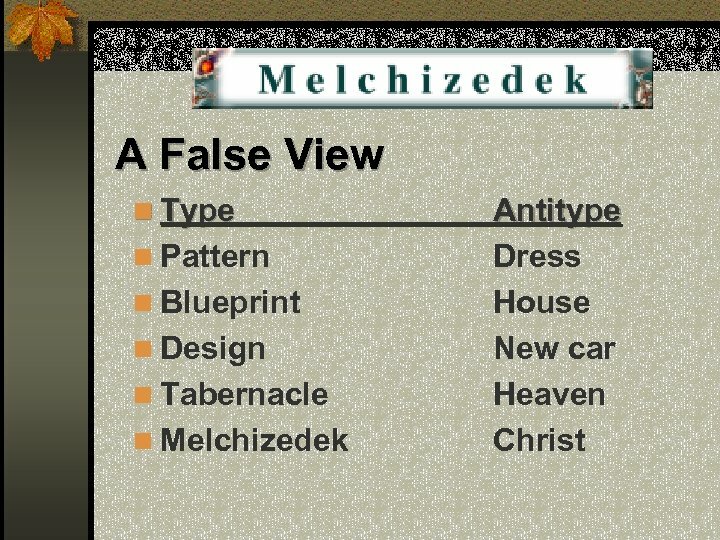 What We Should Learn n Melchizedek is the pattern, the blue print, that will lead us to Christ. 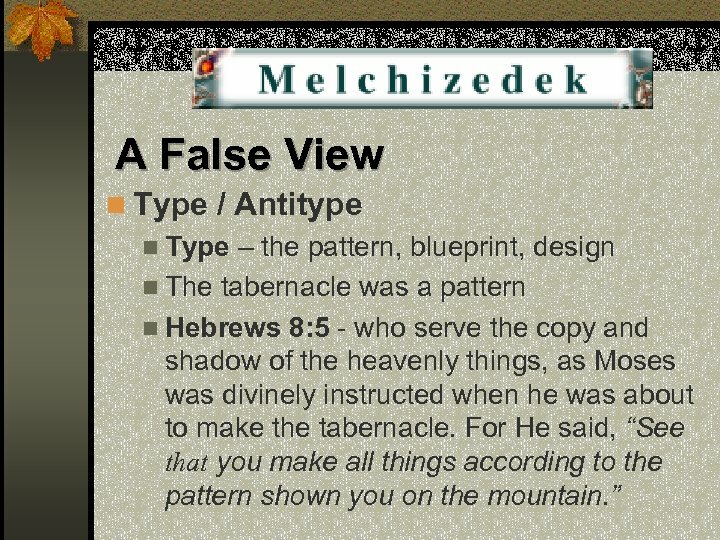 n Follow the pattern. 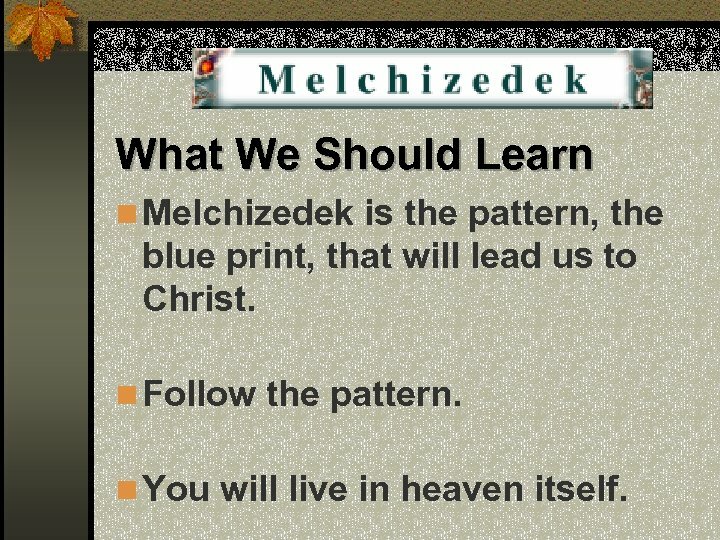 n You will live in heaven itself.